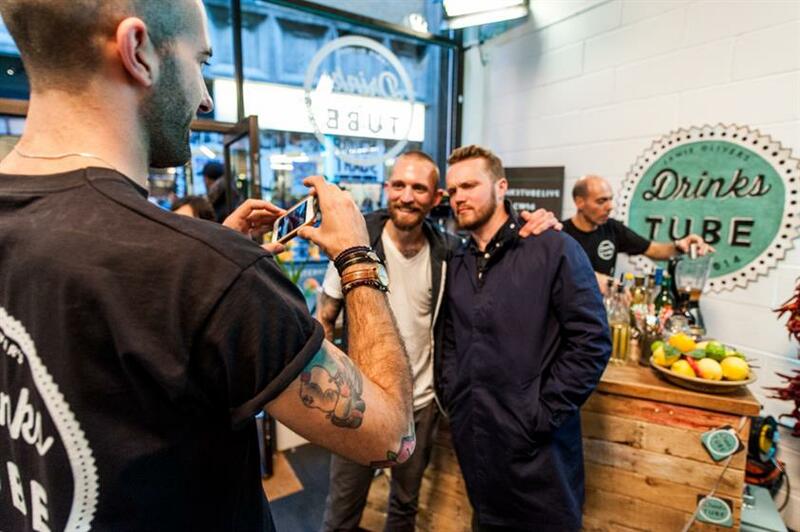 Chef Jamie Oliver's online TV channel Drinks Tube opened the doors to its pop-up experiential cocktail studio yesterday (9 October), devised with its rum partner Bacardi. Drinks Tube celebrated the launch by filming a live episode for the YouTube channel at a special event for media and competition winners. Presented by DJ BBQ, the programme saw three cocktail experts show guests and viewers at home how to make drinks such as a Mai Tai and Negroni. It also gave online viewers the chance to get involved by submitting their own cocktail tutorial request online using the hashtag #CocktailRequest. The result was an autumnal drink made with port and cognac created by bartender Rich Hunt. Open to the public as part of London Cocktail Week until Sunday (12 October), the space near Brick Lane, east London, aims to demystify the art of DIY cocktail marking. Visitors will be encouraged to understand more about mixology and try their hand at making their own drinks alongside top bartenders from the UK and abroad. Other drinks brands taking part in the cocktail sampling experience include Bombay Sapphire, Grey Goose, Dewar’s and Martini. Bacardi’s brand ambassadors will also be providing exclusive cocktail expertise for the channel. 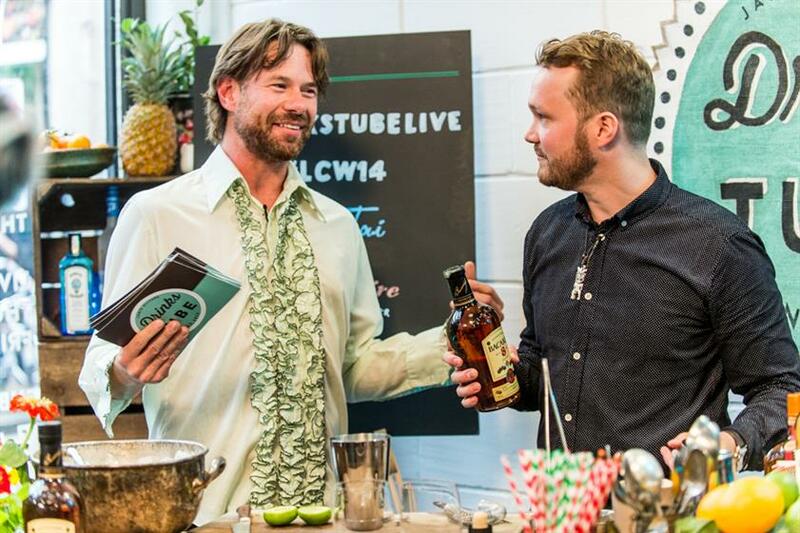 Jonathan Almond, Drinks Tube channel manager, said: "We're really excited about being part of this year's London Cocktail Week. 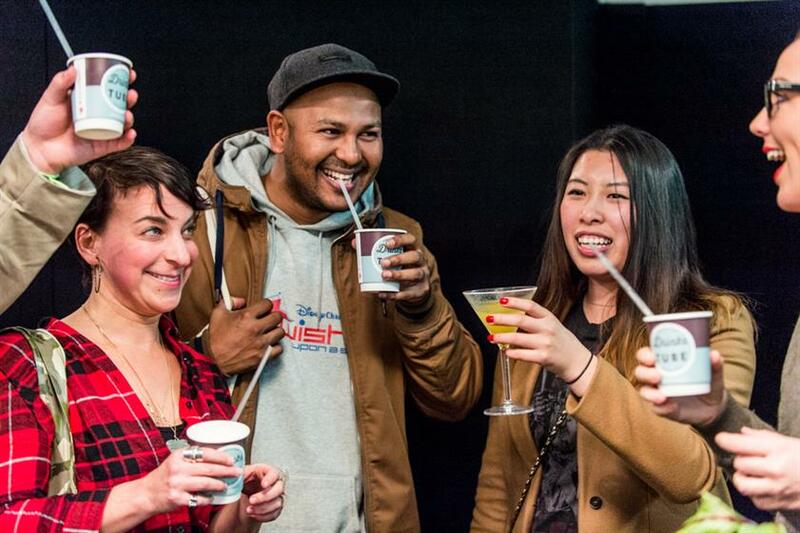 Since the channel's launch in April we've been encouraging our audience to try making cocktails at home, and now we're offering them the opportunity to come down and make them with us alongside some of our brilliant Drinks Tube talent. "But it's not all about London - with our live broadcasts from the popup we're looking forward to bringing all of our audience closer to the experience, wherever they are in the world." Heide Cohu, global consumer experience and engagement director at Bacardi, added: "We wanted to bring something new to the London Cocktail Week experience this year, and our partnership with Drinks Tube allows us to combine a live studio broadcasting from London Cocktail Week, with a unique experience for our audience in the heart of London. It’s going to be a jam-packed few days, with visitors having the chance to watch a show, learn how to mix a cocktail with our experts and of course put in a cocktail request. We can’t wait."